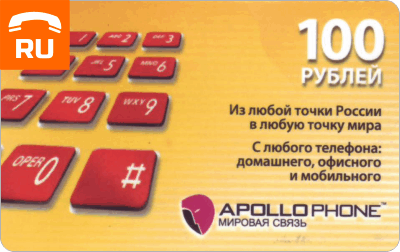 PIN calling card Apollofon 100 rubles. Validity - 12 months from the date of activation. 4. To call on the Russian press: 7 + area code + phone number + / grill /. For an international call, dial: Country code + phone number + / grill /. 8 and 810 before the country code dialing is not necessary!